When Sally met Harry: The Universal Law of the Wheelbarrow. A few variables come into place in this law. The length of time the wheelbarrow is unattended. How full the wheelbarrow is. The length of time the horse is unattended. 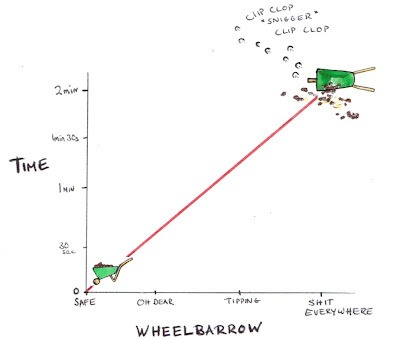 Other influencing factors are the slope the wheelbarrow is on and the mood of the horse. Also Quantum Physics and Schrödinger's cat come into play as the amount of tipping and spreading of contents is also influenced by an observer i.e. if you can see this happening but you are too far away to stop it, then it is more likely to happen. Simply put if I am standing across the paddock and Harry and the full wheelbarrow are on the other side of the paddock he is more likely to tip the wheelbarrow if he knows I’m watching but I can’t do anything about it. 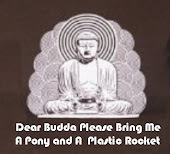 This can also be put down the perverse sense of humour of my horse of course. Yah Schrödinger had absolutely no need to put a cat in a box. He should have just filled a wheelbarrow and watched a horse. 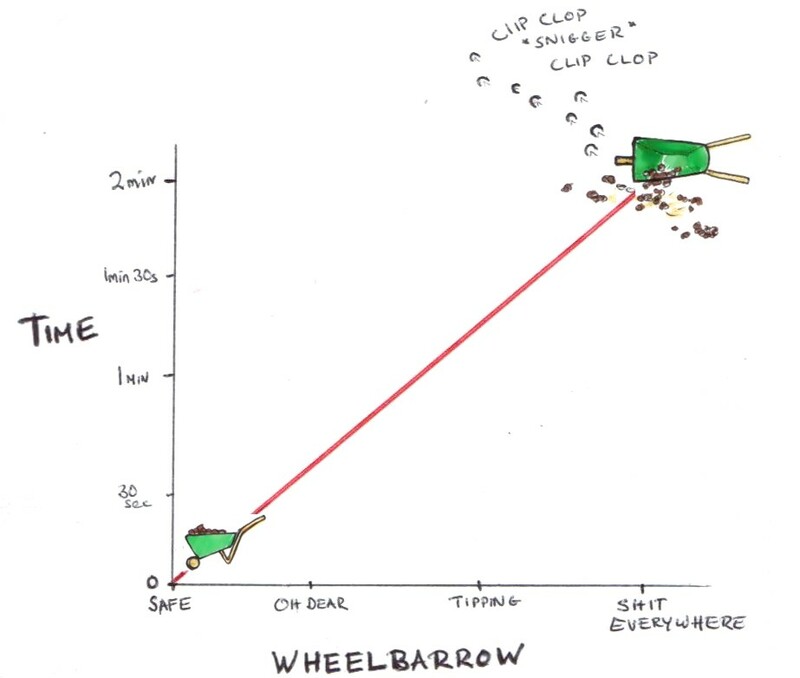 Here’s a simple graph taking the two most important elements - Time Unattended V Wheelbarrow Tipping. So true! Glad to see a scientific explanation. While we're on the wheelbarrow topic - I issue you a challenge. Have your ponios tried to blimb into teh wheelbarrow as you're doing the stable?!?! Mine has! 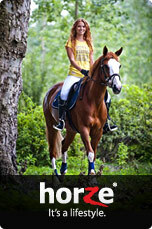 Now when i say ponio, i mean all 16hands of her! She's a right billy silly my one! Loves puttin her feet up on things/in things... Just plane stamping them! You name foot-related activities and i bet my girl'll give it a whirl! That's great. And very true. Your illustration is wonderful. Very nice blog. What a wonderful blog. Love the illustrations too - much more interesting than photos! love your blog and the great illustrations! Fabulous blog, I haven't laughed so much in ages (especially about the dressage stuff, it's as though you know my horse already! )Thanks for following me, too. This is great! Completely true and hilarious. I love your cartoons and all the little details that add to the hilarity, such as the little hoof prints and *snigger* by the overturned wheelbarrow. Very true and great illustration! Our horses can find more things to get into than you would imagine. This definitely made me laugh and I'd definitely aware of this particular law. This is absolutely hilarious! Do you draw your own pictures? They are absolutely amazing!!! I work with a mini mule who loves this trick. We've got a 2 wheeled wheelbarrow with a closed handle, she climbs under the handle and will stand in it like she's pulling a cart. Very entertaining!